As Director of Care, Dave is responsible for the wellbeing of all clients within our service and provides operational management of Bayberry’s clinics – including The Manor, The Meadows, The Cottages and Orchard House. He maintains oversight of all day to day activity and liaises closely with the team, with clients and their families. He takes the lead on quality and compliance, steering the innovation and development of the service and is involved with all care planning and client liaison. Dave’s background, for nearly thirty years, was working within the music industry, worldwide, with some of the biggest names in rock. He understands the pressure of celebrity and the catastrophic impact of addiction and is committed to supporting each client’s journey to recovery. 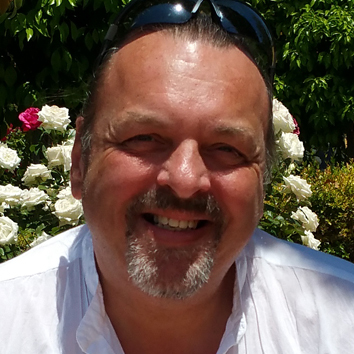 As well as a Master’s Degree in Applied Theology, Dave also holds a Post Graduate qualification in Psychology, a Diploma in Psychotherapy and a Diploma in Care Management and Leadership. He is a registered and accredited psychotherapist. He is the accredited Registered Manager of Bayberry’s services and our nominated responsible individual with the Care Quality Commission. As part of his continuing professional development he is currently in preparation for his PhD and is writing a book on relativistic principles in human dynamics.